Early 20th journalists started creating nicknames for the cyclists. This effort popularized the cycling sport and make the racers interesting to the people who were not interested in cycling much. This tradition is still continuing today. Here the list of cyclists’ nicknames in alphabetical order (by surname, starting with A). Djamolidine Abdoujaparov (English: Jamoliddin Abdujaparov) (born 28 February 1964 in Tashkent, Uzbekistan) was a sprinter who competed at the Olympic Games on two occasions; in 1988 for the Soviet Union and in 1996 for Uzbekistan. He won the Points Classification of the Tour de France three times (1991, 1993, 1994) along with nine individual stages. He also won the Points Classifications of Giro d’Italia (1994) and Vuelta a España (1992), with one stage in Giro and seven stages in La Vuelta. Another major victory of him was Gent–Wevelgem (1991). Abdoujaparov, a British rock band formed by former Carter USM guitarist Les “Fruitbat” Carter, is named after him. Abdoujaparov nicknamed “The Tashkent Terror” as he was so ferocious in the sprints. His unorthodox and often erratic sprinting caused a number of crashes. Jean Aerts: “Hoge Piet” (meaning: nob), “Brummel van de fiets”. Jean Aerts (Interlaken, 8 september 1907 – Bruges, 15 June 1992 ) was a recognized sprinter. He became the first man to win both the world amateur (1927) and professional (1935) road race championships. In 1935, Aerts captured first place and the gold medal at the professional UCI Road World Championships in Floreffe, Belgium. With his powerful sprinting, he won 11 stages of the Tour de France, including six in 1933. He was nicknamed “Hoge Piet” (meaning: nob) because of his elegant style on the bike. Another nickname was “Brummel van de fiets”. Ugo Agostoni (27 March 1893 in Lissone, Italy – 26 September 1941 in Desio, Italy) was professional from 1911 to 1924 during which time he won the Giro dell’Emilia, a stage in the 1912 Giro d’Italia while he was riding for the Peugeot cycling team and another stage in the 1920 Giro d’Italia. Agostoni’s greatest win was in Milan–San Remo in 1914. Agostoni was killed during World War II. From 1946 onwards, a race has been organized in his honor called the Coppa Ugo Agostoni which has been won by several great cycling champions such as Felice Gimondi, Franco Bitossi, Eddy Merckx, Roger De Vlaeminck, Francesco Moser, Jan Ullrich and Gianni Bugno. 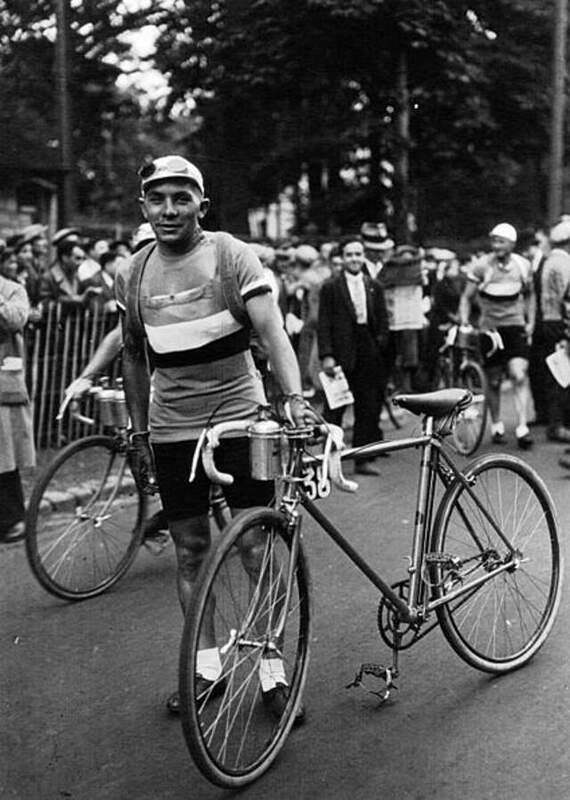 French cyclist Jean Alavoine (1 April 1888 Roubaix – 18 July 1943 Argenteuil) won 17 stages in the Tour de France (as of 2016, he is in the 8th place in this statistics) and wore the yellow jersey for five days. 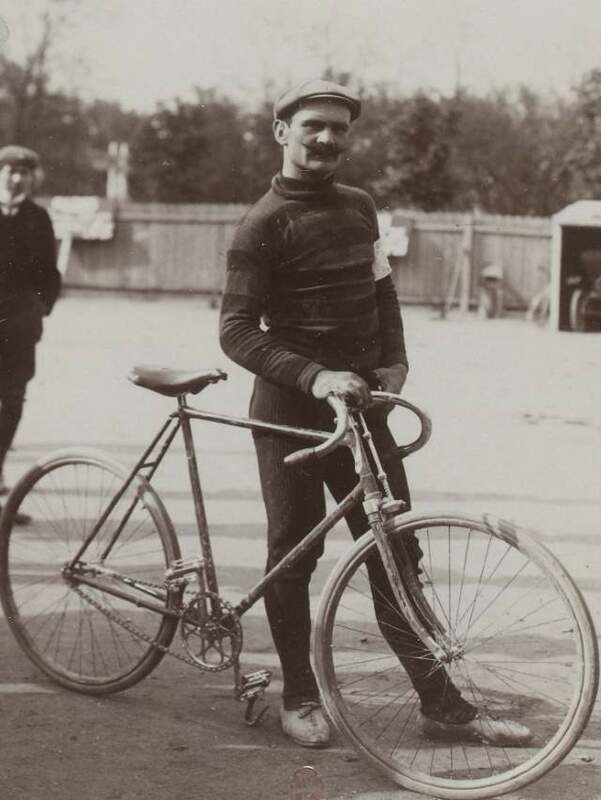 In his professional career from 1908 to 1925, he won 29 courses, including 17 Tour de France stages. In the 1922 Tour de France, he won three stages in a row, stages 5–6-7, and wore the yellow jersey. In stage 11, still leading the race, Alavoine had mechanical problems and his lead dropped to 6:53 minutes. In stage 12 he lost 37 minutes and also the lead. In the end, he finished the tour in second place (Belgian cyclist Firmin Lambot won the Tour this year). In 1943 he died during a veteran race in Argenteuil. Philip Grant Anderson OAM (born 12 March 1958) is an Australian former professional racing cyclist who was the first non-European to wear the yellow jersey of the Tour de France (1981). Henry Anglade (born Thionville, France, 6 July 1933) was second at the 1959 Tour de France, 4:01 behind Federico Bahamontes. 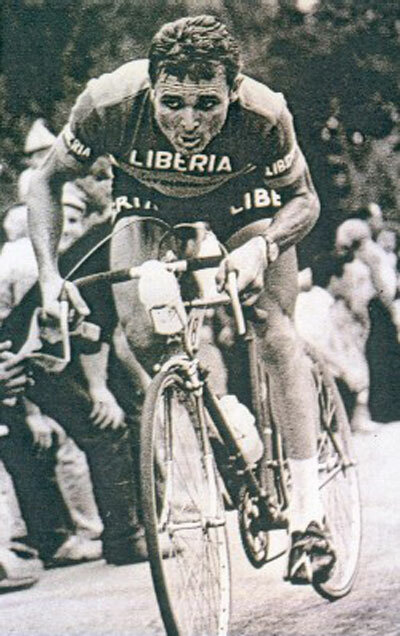 In 1960 he wore the yellow jersey for two days. He was not the strongest of riders but made up for what he lacked with a good tactical sense. He was an eloquent speaker and popular with journalists. Riders, however, disliked him for what they perceived as his bossiness and gave him the nickname Napoléon, which referred as well to his smallness. Jacques Anquetil: “Monsieur Chrono”, “Maître Jacques”, “la Caravelle”. 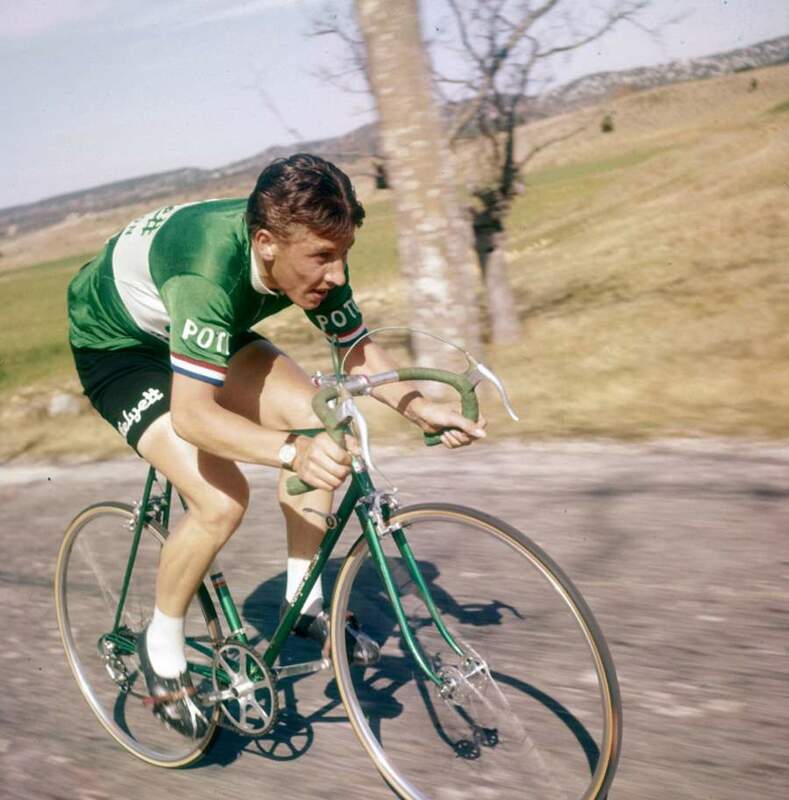 In the photo, Anquetil on his way to winning the 1956 Grand Prix des Nations, an an individual time trial event which run from 1932 to 2004. 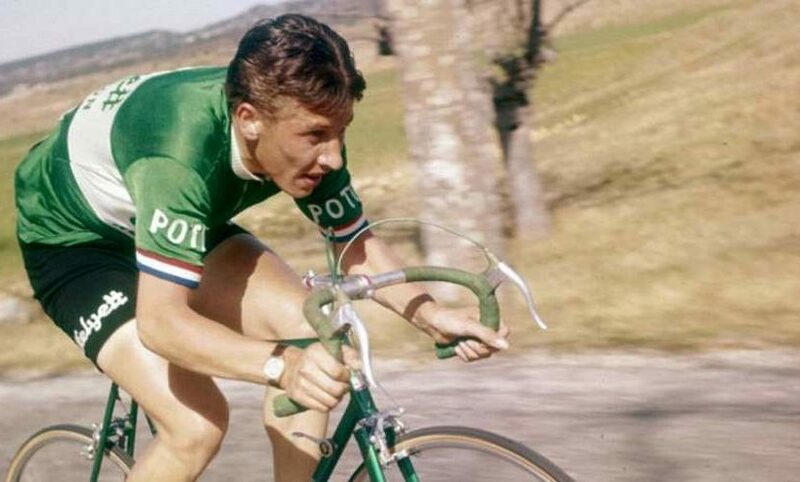 Jacques Anquetil was born on January 8, 1934. He died on November 18, 1987. He was the first cyclist to win the Tour de France five-times. His victories in stage races such as the Tour were built on an exceptional ability to ride alone against the clock in individual time trial stages, which lent him the name “Monsieur Chrono”. His other nicknames were “Maître Jacques” (English: Master Jacques) and “la Caravelle” (English: The Caravelle). Maurice Archambaud (born Paris, 30 August 1906, died Le Raincy, 3 December 1955) was a French professional cyclist from 1932 to 1944. His short stature earned him the nickname of “le nabot”, or “the dwarf”, but his colossal thighs made him an exceptional rider. He set the world hour record at 45.767 km at the Vigorelli velodrome in Milan on 3 November 1937. He beat the Dutchman, Frans Slaats’ record of 45.485 km, set on 29 September 1937. The record stood for five years before being beaten by “il campionissimo” Fausto Coppi. He also won nine stages in the Tour de France and wore the yellow jersey. Moreno Argentin: “Il Capo” (English: “The Boss”). 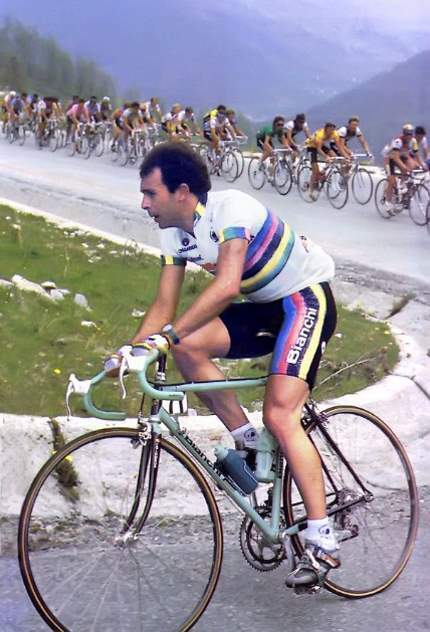 Photo from the 1987 Giro d’Italia. 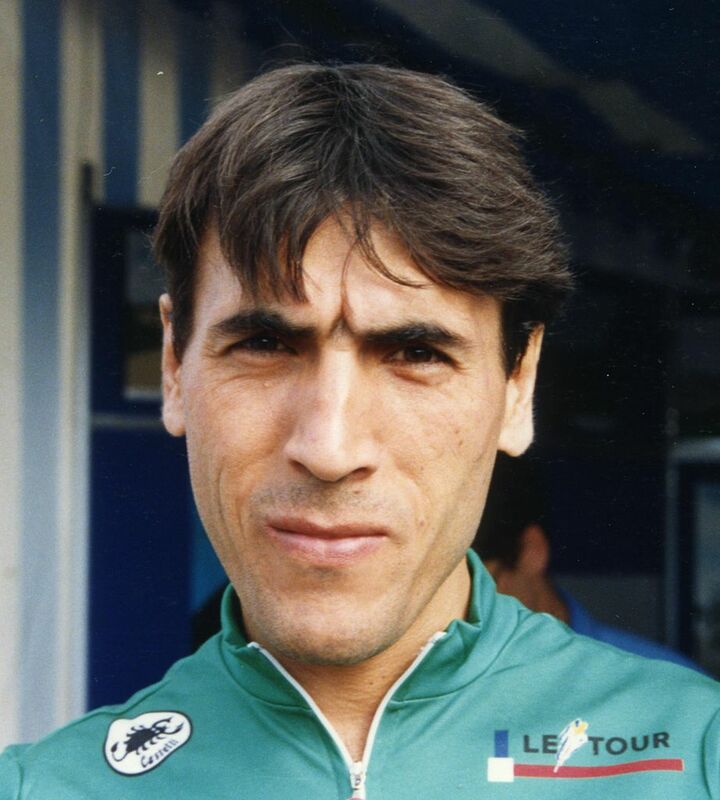 Moreno Argentin (born 17 December 1960) is an Italian former professional cyclist (from 1981 to 1994). He was a classics specialist, but he also won stages in the Tour de France, the Giro d’Italia and the Tour de Suisse. Known as Il Capo (“The Boss”), he won Liège–Bastogne–Liège four times, the La Flèche Wallonne three times and the Tour of Flanders and Giro di Lombardia once. He became the Italian national champion in 1983 and 1989, and the UCI world champion in 1986. Hippolyte Aucouturier (17 October 1876 in La Celle, Allier, France – 22 April 1944 in Paris, France) was a French professional road bicycle racer. Aucouturier, a professional between 1900 and 1908, won two stages at the first Tour de France in 1903 and won three stages and finished second in the 1905 Tour de France. 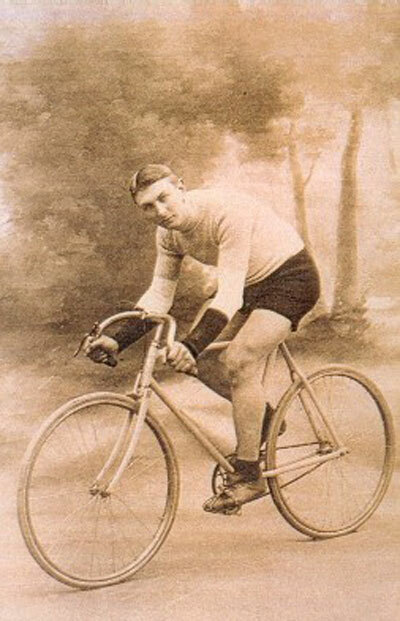 He also won Paris–Roubaix twice, in 1903 and 1904. His elder brother Francois was also a racing cyclist. Aucouturier was an outspoken man whom the Tour organizer, Henri Desgrange, referred to in L’Auto as Le Terrible (The Terrible).